Pretty in pink. 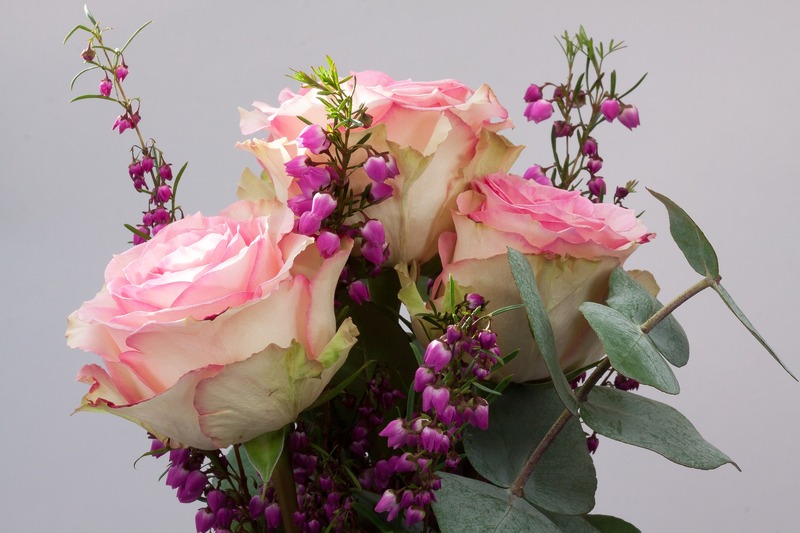 A pink bouquet will look beautiful whatever the weather, and will work in any season. You can choose a mixture of delicate pink petals or opt for something brighter and more vibrant depending on your colour scheme. Something like Sweet Peas or classic pink roses can look beautiful. Pastel tones. 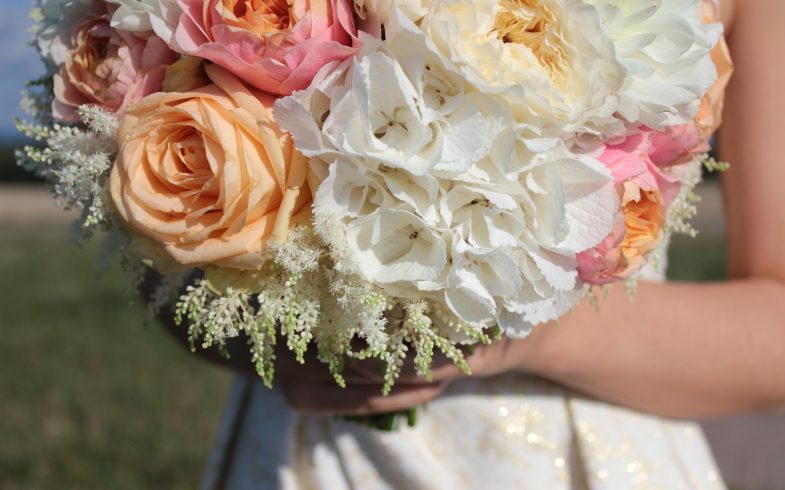 A variety of gorgeous pastel-coloured flowers will look stunning, especially if you are getting married in the spring. You could even add a few matching flowers into your hairdo for a bohemian look. You can use flowers like orchids, lily of the valley, roses, mini carnations and lisianthus. Tie the bouquet together with satin ribbons to keep them in place. Bright and vibrant. 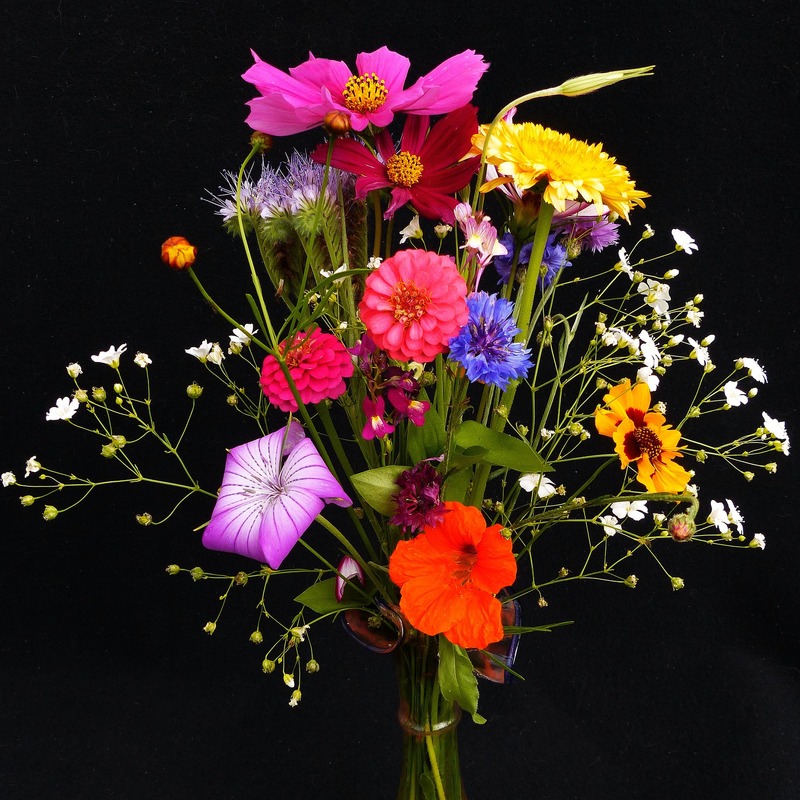 If you’re getting married in summer, why not consider a beautiful bright bouquet? You could bring them into the rest of the ceremony as well – think flower arches and decorative bouquets elsewhere in the room. You can use boldly-coloured flowers like dahlias and strelitzia. Begin the process of choosing your florist as soon as you can so that you have plenty of time – remember, a good florist will get booked up really quickly. Discuss the flowers you like with them and then let them come up with a few ideas for you. We wish you all the best of luck organising your wedding and hope we’ve helped inspire you.